THIS REVIEW OF ‘THE WRONG EARTH’ #1 CONTAINS MINOR SPOILERS. by Clyde Hall. “Watch out, Dragonflyman and Stinger! The powers of darkness lurk in this room!” They well may, William Dozier-sounding Narrator Guy, but less so this world. Earth-Alpha’s reality is bright as a fresh minted silver dollar (real silver, no filler), rooted not only in Silver Age sensibility but garnished with a sprig of campiness. Even the vilest villains have boundaries. Meanwhile, Earth-Omega is a shadowy miasma of unfettered crime, corruption, and vice with a singular dark champion rising to stem the tidal wave of anarchy: The vigilante known only as Drangonfly. What happens when the Alpha and Omega heroes, along with doppelganger versions of their nemesis Number One, switch Earths in an unplanned Student Exchange from Hell moment? 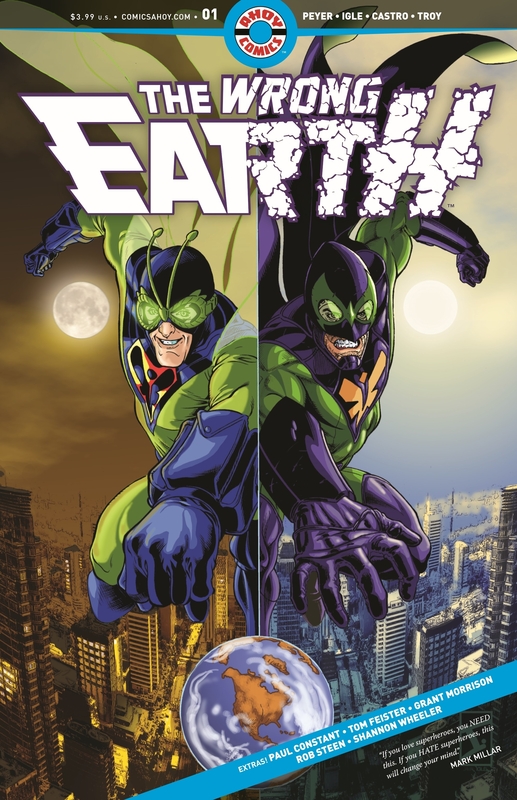 That’s the premise laid down in AHOY Comics’ new series The Wrong Earth, and it instantly recalled two short-lived TV shows that attempted to plow similar creative fields. 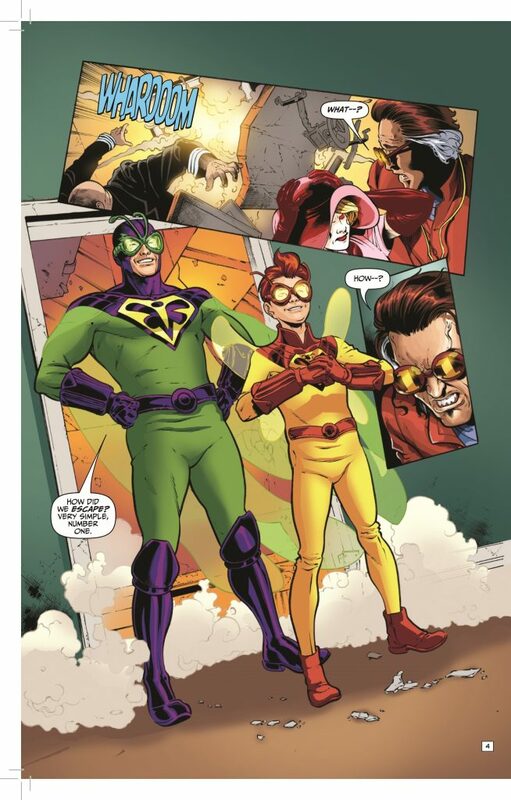 Once a Hero chronicled the adventures of a Superman-esque hero called Captain Justice after he was dislodged from his own reality and found himself dimensionally marooned in our world without his powers. Here, he’s shocked to find that Captain Justice is only a comic book character and must adjust to life as a normal human with the aid of a hard-boiled detective (also from his reality), as well as the aging artist of his comic title, Abner Bevis. The pratfalls the good Captain encountered dealing with his mere mortal status while encountering the complexities of the real world were the stuff of belly laughs. Bob also dealt with an aging comic book creator, Bob McKay (played by national treasure Bob Newhart), whose 1950’s superhero Mad-Dog was hounded to cancellation in the aftermath of the United State Senate Subcommittee on Juvenile Delinquency and the resulting Comics Code Authority. The series finds McKay in the early 1990s working for a greeting card company, but when a new interest buys up the Mad-Dog comic rights, they invite him to return and helm the adventures of his creation. Except they want Mad-Dog to be a modern, bloodthirsty vigilante, not the heroic-if-violent paragon McKay originally established. The ongoing humor came from McKay trying to find a balance between his vision of Mad-Dog and that of the new owners. Both fared poorly in ratings and were a tick too early to attract audiences not yet fully tuned into the superheroic cinema explosion soon to come. The Wrong Earth is a more dramatic effort with some humorous undertones, is well-crafted, and is precisely when it needs to be. 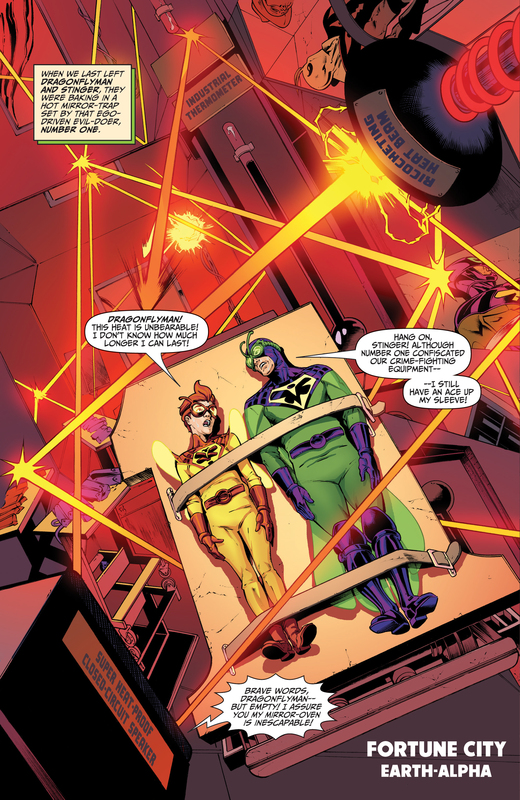 Writer Tom Peyer keeps both Earths feeling real. Not our real, not our own world, but Alpha and Omega are each true to their own realities, neither seeming more or less likely than the other despite their vastly dissimilar natures. When Alpha’s Fortune City police officers act like they went to their Training Academy beside Cadet O’Hara before he made Chief, it works. When Omega Fortune City’s finest gun down a suspect and then extort money from him, it works. Flexing between the two settings this way without tilting favor to one or the other is testament to Peyer’s skill. 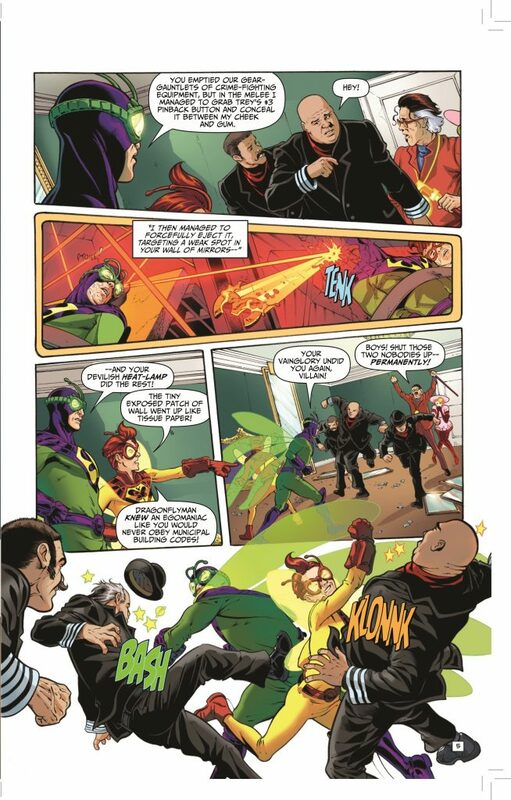 Penciller Jamal Ingle, inker Juan Castro, and colorist Andy Troy layer their own contributions over the steel frame of Peyer’s narrative, never missing a beat as they follow him from Alpha to Omega Earths with old school discernment and brighter coloration for the one, more mayhem in muted tones for the other. Yet the style of each isn’t jarringly different, and this creative team knows how to blend them subtly. An easier and quicker path would have been a simple sketch quality for Alpha and a visually violent chaos clamor for Omega. They transcended that to find the common grounds of the settings and characters, not just their divergences. Ingle’s art is reminiscent of Alan Davis, an influence he’s cited, and here it truly comes through beautifully. Letterer Rob Steen’s labelling of literally everything in the opening sequence on Earth-Alpha provided warm fuzzies of 1966 nostalgia. ‘Super Heat-Proof Closed-Circuit Speakers’. ‘Ricocheting Heat Beams’. Plus, the Alpha KLONNKs and SWOOSHs help firmly cement its vein of reality. Once the groundwork concepts are set there aren’t many deviations from the direction the tale is expected to go, but it does leave our characters in precarious enough situations to foster a healthy chorus of Where Do We Go from Here? Like good ringmasters, the creative team hooks interest by revealing just enough, never too much. It leaves the reader with the feeling another television special of the past kindled masterfully. In The 10th Kingdom, years before Once Upon a Time, fairytale characters found themselves transplanted to our world, while denizens of ours were stranded in the magical reality of fables. Each transplanted group found they could adjust, adapt, and usually overcome despite the differences. One gets the impression The Wrong Earth will continue in a similar fashion, with the narrative wound into exactly how the characters must evolve to prevail. Which ones will, and which ones may perish in the attempt. Along with introductory AHOY tidings and interviews with Jamal Igle and Chief Creative Officer Stuart Moore, we get a Stinger solo story, “The Fairgrounds Horror”, definitely originating from Earth-Alpha and with a Golden Age flair. Scripter Paul Constant gives it that just-right darker tone of the GA, while the Art/Colors/Lettering job by Frank Cammuso conjures a jaw-dropping short that could easily have been vintage 100 Page Super Spectacular material. Right down to the yellowed, see-through newsprint. Finally, we’re treated to a Grant Morrison story done in the style of those bygone two-page text adventures sandwiched into comic books of yesteryear, “’Hud’ Hornet’s Holiday in Hell!”. It’s an over-the-top satire of those manly daredevils of the past, the Hop Harrigan and ‘Speed’ Saunders cut of heroism, wordy and fuel-injected with pure testosterone. It veers wildly as a novel piece of prose that lampoons its subject and eventually hoists him by his own three-fisted petard handily. Rob Steen provides a few illustrations, just as the source material sometimes featured, and they fit the tone as snugly as tattoos over spring-steel muscles. Overall, it’s a magnificent indictment masquerading as a hoot. This is a lot of quality entertainment packed into a single issue. If it sets the standard for future issues, it’s a steal given the cover price. If #1 comes in a special introductory size, it’s a grand start to the series. Either way, it’s helmed by people of amazing achievement and even greater potential as evidenced by sneak peeks at their other previews. In the case of The Wrong Earth, the sharp, astute, and acute handling of the premise overshadows any similar attempts mentioned before, assuring we’ll be tuning in monthly. Same Dragonflyman time, same Drangonflyman channel. Written by Tom Peyer, Paul Constant, and Grant Morrison. 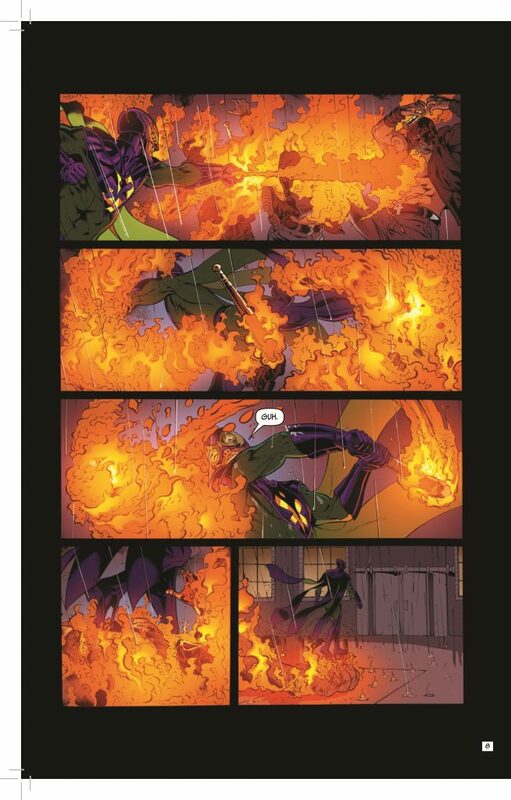 Additional Art/Colors/Lettering by Frank Cammuso, Rob Steen, and Shannon Wheeler. Check out this six-page preview of ‘The Wrong Earth’ #1, courtesy of AHOY Comics!